Do you follow Quilting is More Fun Than Housework? If not you really should. I love her Scrap-a-palooza quilt series, so inspiring! Recently she hosted an orphan adoption event where people could release their old UFOs to loving homes. 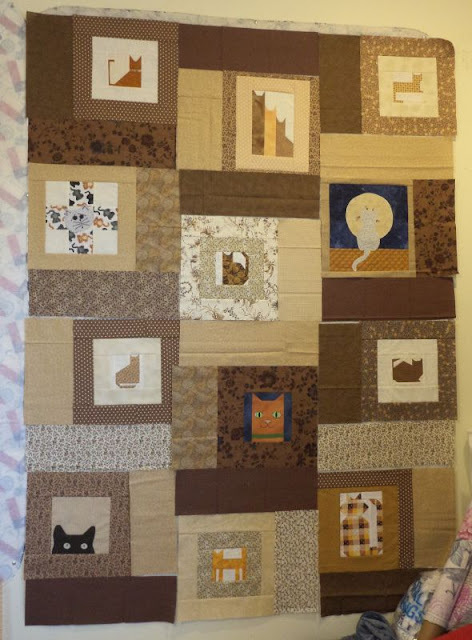 I was fortunate enough to score 11 cat blocks from Laurie at ThreeOldKeys. There are paper pieced, applique, embroidery, and traditional pieced blocks. Several of the cats are accessorized with buttons and ribbon. So cute! 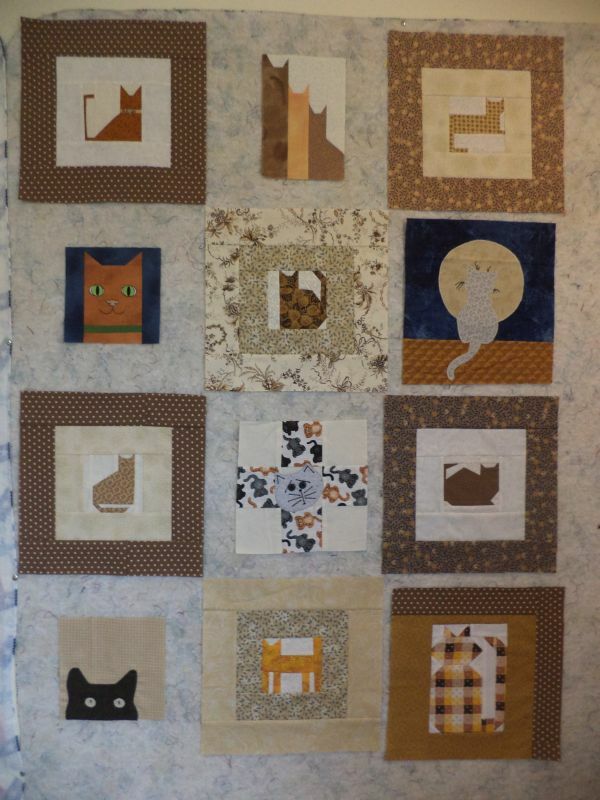 I made a 12th cat (the black one on lower left) and got to work sashing them with browns and neutrals from my stash. Here is the top, not sewn together yet. A dozen happy cats getting ready for a new home. This will, of course, be another quilt for Covered in Love. I checked in with the chaplains on Friday and they are down to 3 quilts, so I need to get some more up there pronto! It's adorable. Great job, I'm sure someone will truly love it. Such a fabulous quilt - love it!